I've now finished sewing all the cushion covers and they look fabulous. 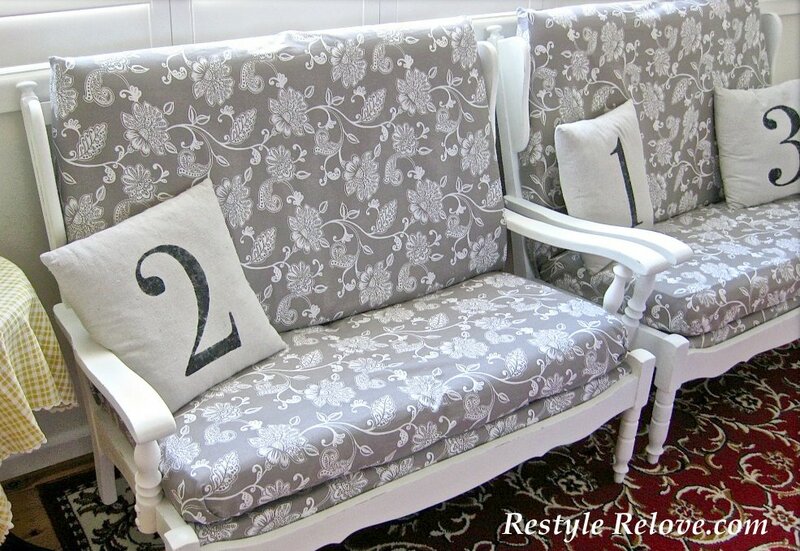 All cushion covers have cute little ties holding them together and come off for easy cleaning. It's amazing the difference a bit of paint and some new fabric can make. Aren't they just shabalicious now! Great job! 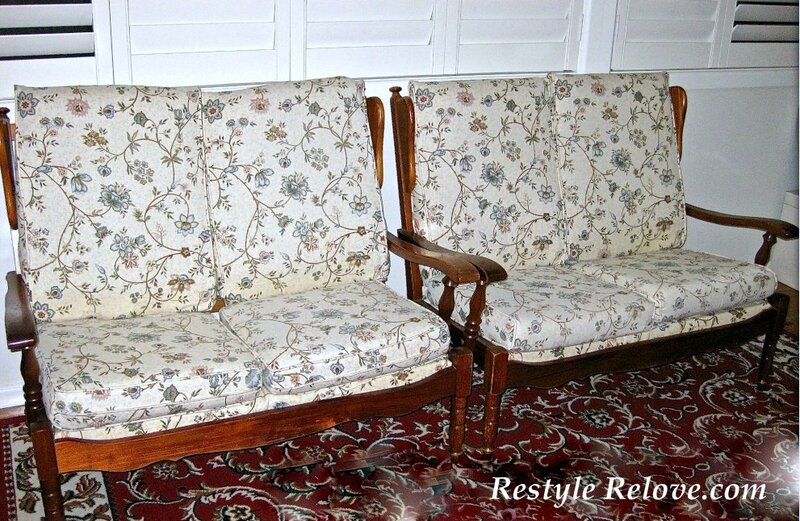 They don't even look like the same furniture...they look like something you just bought from a furniture store! By the way, I love the name of your blog...so clever! 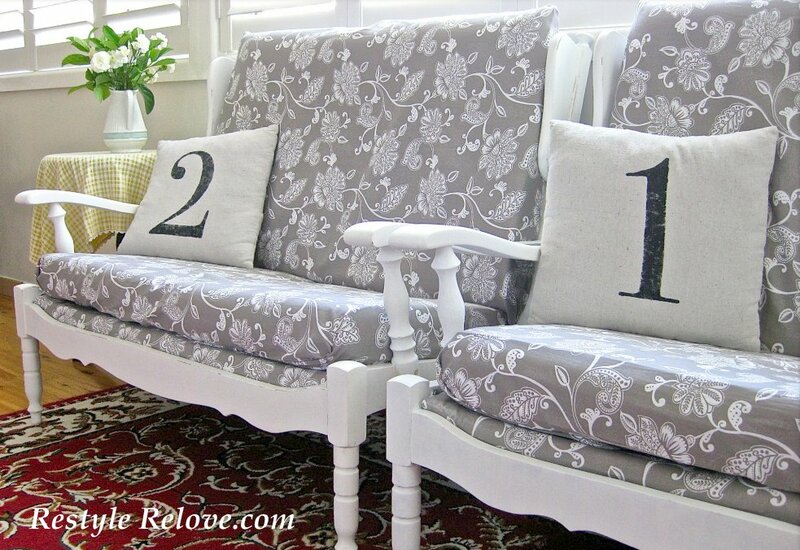 those are gorgeous and love the numbered pillows! 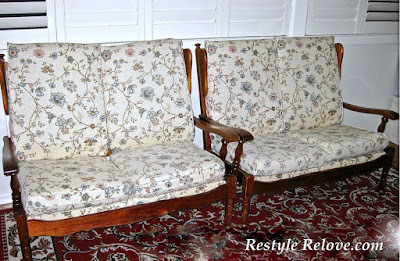 they were so outdated and now.... lovely! I love these - they really do look lovely. 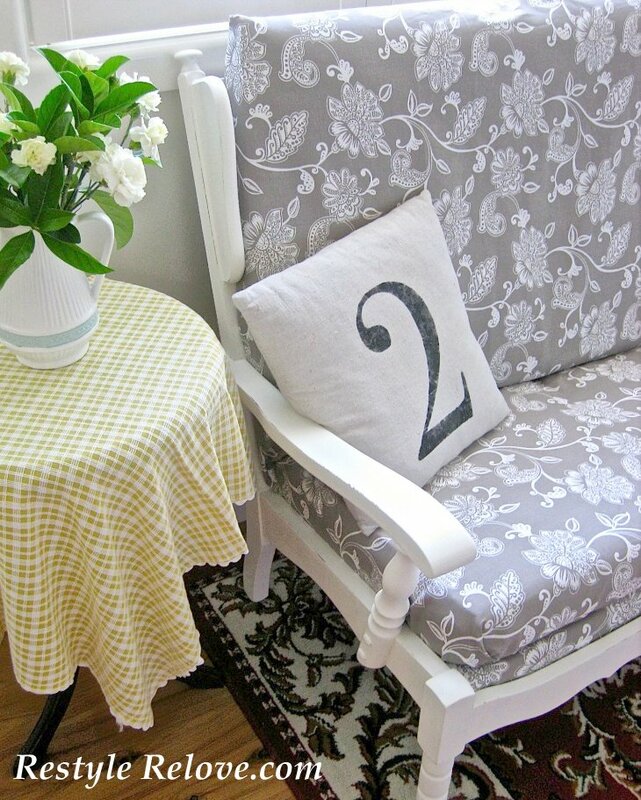 And the fabric you used for the makeover is just gorgeous. What a great redo on these settees!! Great furniture redo! Looks fabulous! What a fabulous price! They look great! You got to love gray and white - so classic! 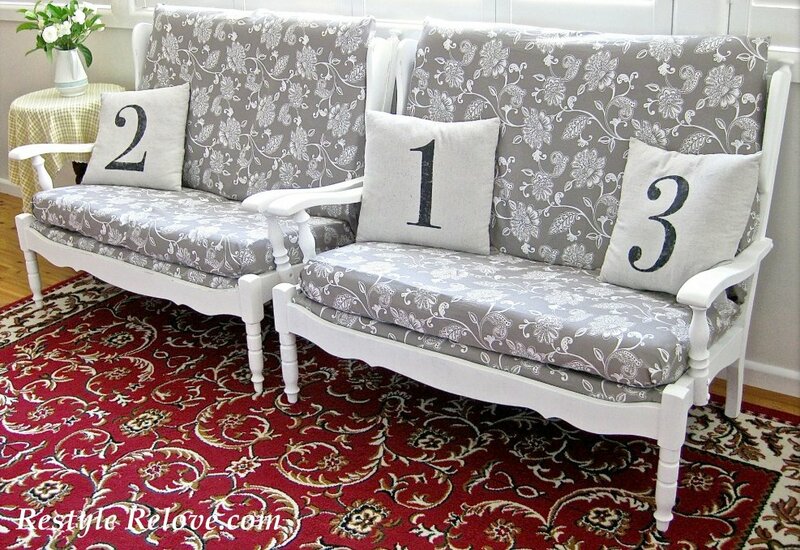 Love the numbered pillows. 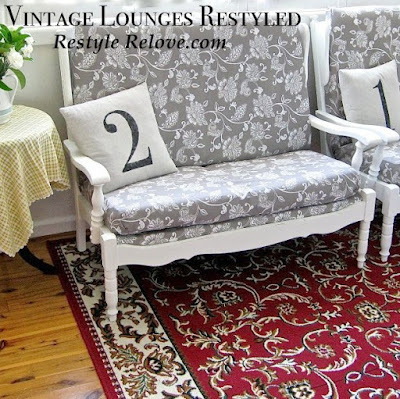 Hi Julie, your lounges came out beautiful!!! Thank you for sharing them at Project Queen's Link Party last week. I will be sharing them tomorrow night (Monday) at the Highlight Party. As always, beautifully done Julie. Thank you for linking up this week at Shabbilicious Friday. Wow.... really, someone stole your actual post too. Isn't it sad that we have to watermark the whole image.